Are you looking for a tool that can convert a physical machine to a virtual machine (VM), so that you can run it on Hyper-V, VMware, or VirtualBox? This is how I do it and it’s very simple and fully automated. In fact, you can have this done repeatedly on auto-pilot as a kind of a backup solution as well. To convert a physical machine to a virtual machine, you simply download BackupChain first and create a new backup task of type “P2V”. Select the disk and specify the output file and its format: VHD, VHDX, VMDK, or VDI. Then run the task immediately or set it on a schedule if you want this to occur repeatedly as a backup solution. To convert your physical machine to Hyper-V, whether it is Windows 10 or Windows Server 2016 or older doesn’t matter, you need to use either the VHD or the VHDX target format in BackupChain. After you finish the conversion, create a new VM in Hyper-V and select the VHD that BackupChain created as the hard drive. 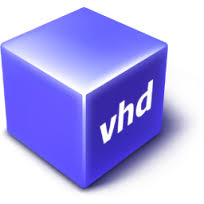 VHDX should be used on newer Hyper-V versions (Server 2012 and later) and it allows for disks larger than 2TB. To convert a physical machine to VirtualBox, you need to choose the VDI format. All other steps are the same as for Hyper-V; simply create a new VM in VirtualBox and instead of having VirtualBox create a new virtual disk, you select the VDI file created by BackupChain. The different step required to convert a physical machine to VMware is to use the VMDK target format. Note that several versions of VMware also allow offer EFI bios. In case your Windows 10 PC or Windows Server boots with EFI / UEFI, the converted disks will work on VMware as well. There are certain P2V scenarios that may require some tweaks to boot. For example, certain older Windows versions cannot boot from EFI as generation 2 VMs in Hyper-V. Some VMs may need to be moved from IDE / SATA to SCSI or vice versa. Use BackupChain’s disk preparation tool to make these universal boot changes to the disk before booting from it. BackupChain can also convert MBR to GPT and vice versa to facility certain conversion scenarios. You can download BackupChain here.